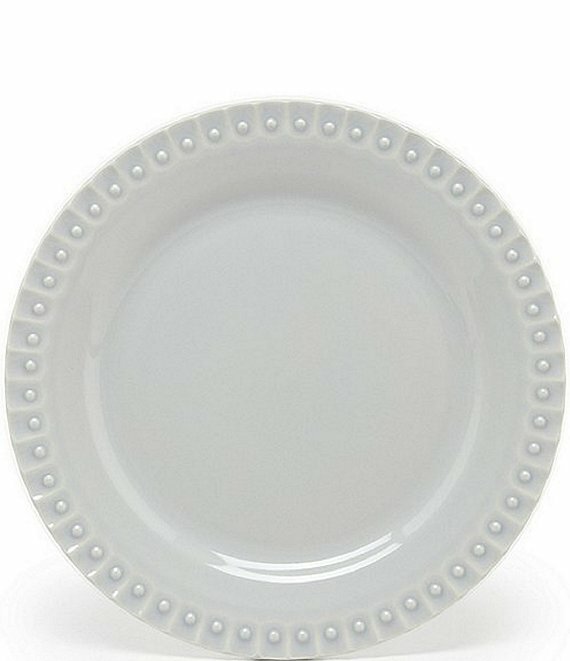 Simple and classic, the Southern Living Alexa dinnerware offers a hand-crafted look that can be dressed up or down for any occasion. Keep it simple for everyday or mix and match with different patterns to create that true Southern Living-style table for special celebrations. The glazed stoneware pieces with decorative edging have "that extra something" to make any table feel well-dressed. It's the little black dress of dinnerware. And in case you're wondering, we named this collection in honor of Mrs. Alexa Dillard, a hostess who knew the art of setting a beautiful table. We raise a glass to you. Approx. 8.26".Southern Living® is a registered trademark of Time Inc. and is used under license. Portuguese Ceramics Made by Factory FAPOR: Design, Innovation and Quality Assurance three primal attributes that are the base line of the international success of Portuguese ceramics. It is from symbiosis between the art, the know-how and innovation, that we can write the history of the Portuguese Ceramic Industry.